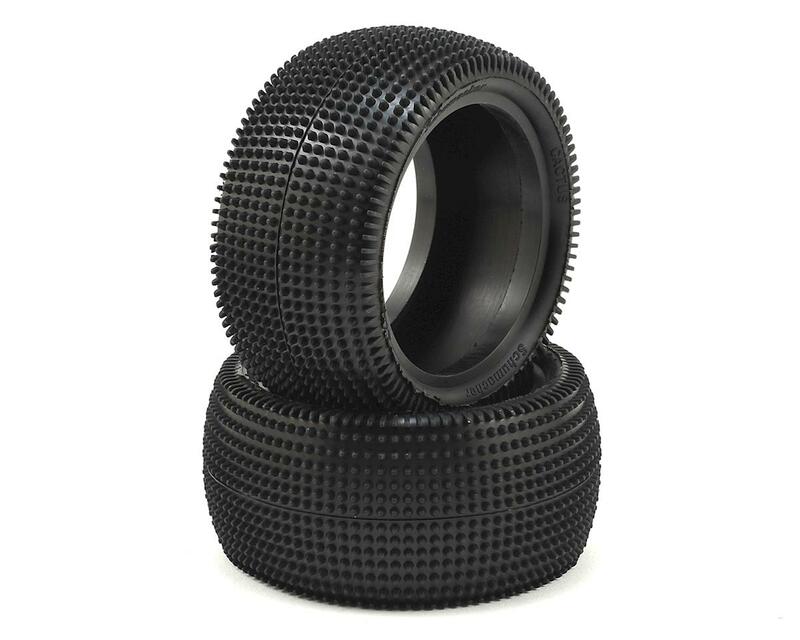 The Schumacher Cactus 1/10 Buggy Carpet Tire has been specially developed for EOS style carpet and offers improved driving feel, faster lap times, and longer life. The long life design with high density pin pattern and famous stagger edge design to minimize grip roll should prove extremely popular with racers! 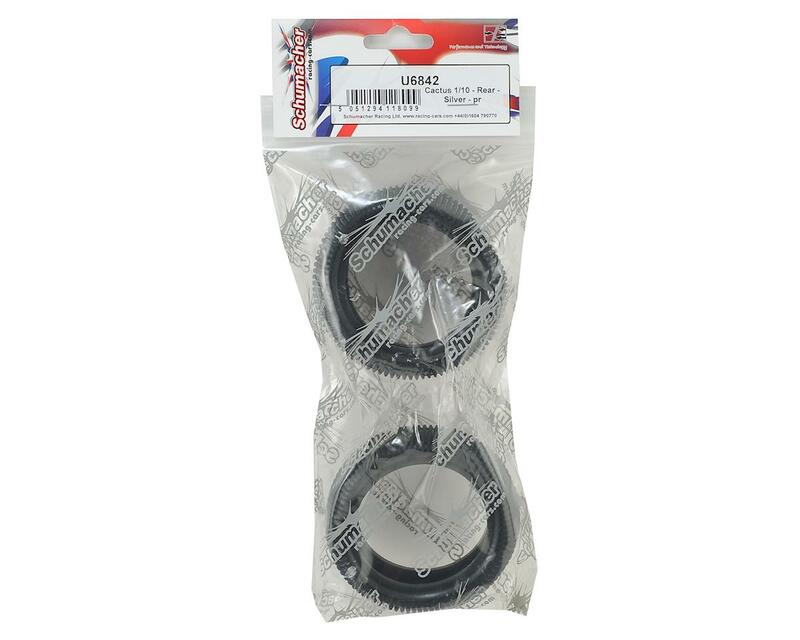 It has been extensively tested on both new and well worn carpets and should be a popular control tire choice for 1/10th off road carpet racing this winter. In fact, this is the EOS Control Tyre for the 2017-18 season! Choose from Silver, Yellow or Blue compounds. Blue: Hard compound. Works well in wet and dry conditions. I run the Cactus yellows on higher grip indoor turf. When new, they perform as well as anything I have tried. At the end of their life, they go away quickly, typically before wear is visually obvious. Recently, I have been using the Dart more. They perform about the same on higher grip and also work on the lower grip track I frequent. One less thing in the pit box. When new, the Cactus may be slightly faster. The Dart does not fall off as quickly though, and I can move them from the 17.5 buggy to the 13.5 4wd when they reach mid-life. On high grip carpet, the Cactus is the go to.